Decorate your computer background with Playmobil® images exclusive to Just For Klicks. Click on thumbnails above to preview each wallpaper design and access the download links. Print it, frame it, and stick it anywhere you like - have fun with our works of "playmo art"! 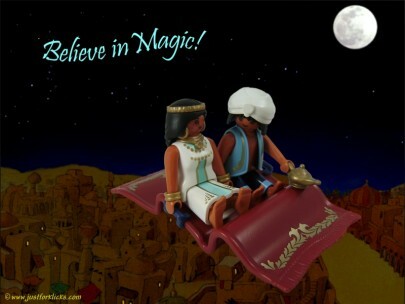 Playmobil®-scaled, printable items suitable to use with your figures. Keep the young ones busy after school and during the holidays!